Facebook is simply too big to not be an integral part of your digital marketing strategy. Here’s the best part: According to digital advertisers, Facebook offers the highest ROI of all social media platforms! But with so many brands competing for attention on the platform, it’s hard to figure out how to create a Facebook ad campaign that actually works. If you think about it, the ultimate goal of your ad is to make users stop in their tracks and pay attention to your message. This is exactly what an effective ad visual does—it stands out and draws focus to itself, despite all the noise in the background. Better yet, it’s powerful enough to motivate users to take action. While ad copy is also important, it simply can’t replace your visual. 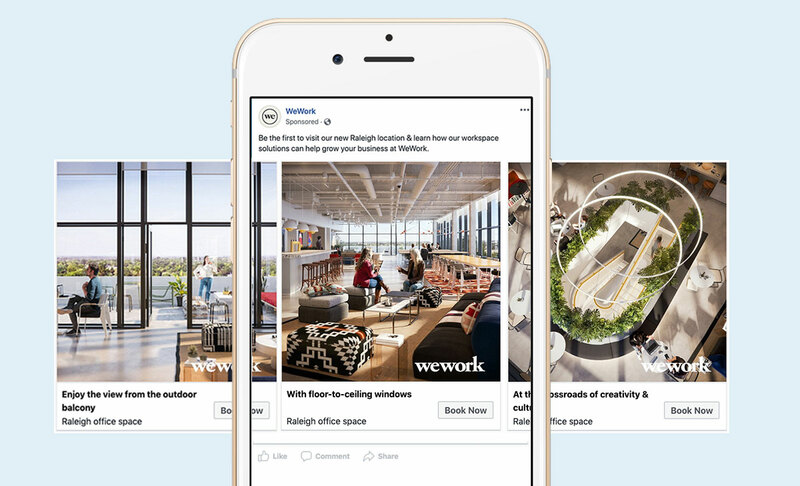 Luckily, Facebook now offers plenty of visual ad options to brands and marketers, from basic display ads to carousel ads, dynamic ads, canvas ads and even video ads. If you’re trying to sell something, don’t be vague about it. Your audience is not going to spend too much time on your ad, so you need to capture their attention and pitch your product at first glance. Using high-quality photos of your actual product will make your Facebook ad stand out and get noticed in a sea of generic, low-quality images. It will also have a much bigger impact than an unoriginal image or a few boring lines of text. 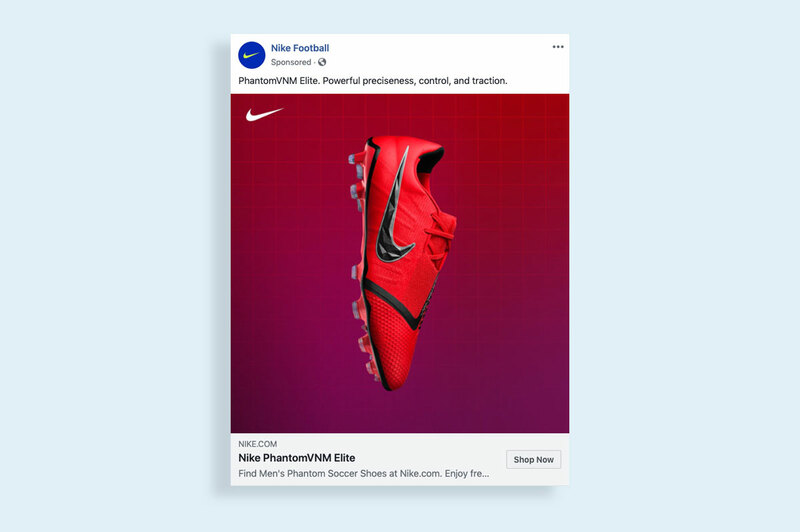 If you want to promote multiple products, you can use Facebook’s Carousel ad format, which lets you showcase up to 10 visuals within a single ad. Carousel ads are great for drawing attention to the variety of products you offer, and they tend to stand out more than generic display ads. Better yet, they're interactive. Users can swipe to see the rest of your products. This automatically makes the ad more effective and engaging. Product photography in Facebook ads works great for businesses selling physical products, like books, clothing, shoes and accessories. But what if you’re trying to sell a service or a virtual product? If you’re selling eBooks, for example, you can create mock-ups that showcase the cover—and even the first page—of your eBook to attract customers. You can also create original visuals using elements that are closely associated with your product or service. For most B2B services or SaaS companies, product photography isn’t always an option. But this doesn’t mean you’re doomed to use stock images. You can always use illustrations and original graphics to get your point across! 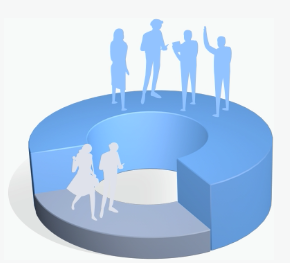 In most cases, illustrations can actually perform better than generic stock photos. 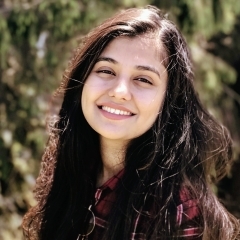 For one, they’re original, customized and more relatable to your audience. You can be creative, add humor and use personalized graphics to grab attention and communicate your message. If you want to go the extra mile, you can also incorporate icons into your ad visual. They’re catchy and you can customize the design to be consistent with your color scheme. Another perk of using icons is that they can help you save a lot of space by replacing text in some areas. Pro-tip: If you're using multiple icons in one visual, make sure you pick a consistent icon style. Using different styles can lower the aesthetic appeal of your ad and tarnish your brand image. You can easily create beautiful Facebook ad visuals with icons and graphics using a tool like Visme. Colors are more important than you think. They can decide the difference between a successful ad and one that just gets lost in the noise. Before you jump on the ad-designing train, consider the platform’s existing color scheme. 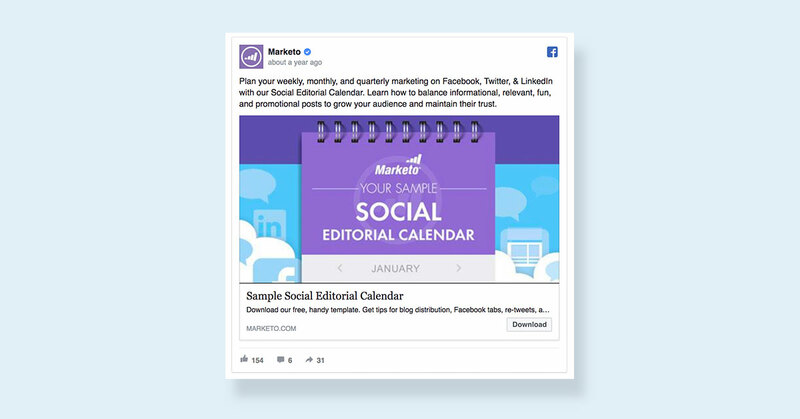 Since Facebook’s feed is mostly blue and white, use dark or bright colors to make your ad pop. If you make a Facebook ad using the same color scheme as the platform, it might cause your ad to blend in with the rest of the feed and get ignored by scrolling users. The ad above uses a bright red color in contrast with Facebook's white and blue, which makes it immediately noticeable. An ineffective Facebook ad visual would use too much white space or not have enough visual content to offer. Also, don’t forget to create a Facebook ad visual with a sharp contrast between the background and the elements you place over it. There are other factors to keep in mind before choosing the right color scheme for your ad. For instance, avoid using colors that clash with your brand image. Also, don’t forget that every color has a meaning behind it. Before you decide to use a certain color, make sure you know what adjectives people associate it with. Want to create your own engaging infographics? Behind every successful Facebook ad, there is a visual with a powerful story. Don’t just use an image or video for the sake of it—make sure you have a clearly defined purpose behind it. Think about why you’re creating the Facebook ad in the first place. What do you wish to communicate? It could be anything: showcasing a product, highlighting a benefit or solving a problem. For image ads, try to use visuals that convey a deeper meaning or something your audience resonates with. Your customers don’t want to be sold to. They want to associate themselves with brands that genuinely understand their values, interests and beliefs. And this is exactly what the ad above does. If you manage to connect with your customers on a personal level, sales will automatically follow. Pro-tip: You can use a minimal amount of text in your photos to make it easier for your audience to understand your message. Another way to incorporate visual storytelling into your Facebook ad is by making use of Instant Experience, formerly known as canvas ads. Instant Experience lets you create an immersive, interactive ad that takes your audience on a visual journey. Did you know that people spend five times more on video than on static content on Facebook? Videos are engaging, interesting and help you tell stories better than most other content types. In fact, studies show that customers who view videos are 1.81 times more likely to make a purchase than non-viewers! 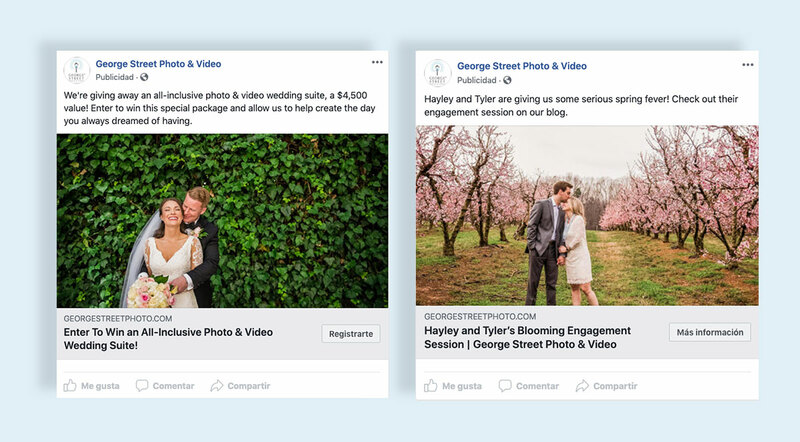 With Facebook’s video ad format, it’s easier for advertisers to get their message across and connect emotionally with their audience. Keep your videos short. Facebook recommends 15 seconds or less. People don’t have the time to watch never-ending sponsored content. If you want to grab attention, do it in the first few seconds. Make sure your video makes sense without audio. Most people disable autoplay with sound. We recommend using text overlays or subtitles to ensure your video is just as effective on mute. While visuals are super important, you can’t completely ignore all the other factors involved in making your Facebook ad a success. Advertising on Facebook has gotten a lot tougher in the past few years, especially because of the increasing competition. Visuals might be more important, but never underestimate the power of compelling copy. Always make sure your ad includes a compelling CTA, which is a phrase or button that prompts them to take action. No matter how beautiful your ad is, it won’t bring you any tangible results if users simply don’t know what to do once they’ve seen it. Showcasing your product? Throw in a "Shop Now" button. Promoting a contest? Ask users to "Register to Win!" Need to create professional-looking visual content in a few minutes? This one is a no-brainer: Your ad will never be effective if it’s not visible to your target customers. Good thing Facebook has tons of targeting options to help you tailor your ads to appear in front of the right audience. We recommend customizing your ad for different customer segments. You can tweak the colors, tone of voice, CTAs and the message to get a better response from each segment. You can also intersect interests to target a niche, and potentially profitable, customer segment. The success of your ad also depends on where users see it. There are several areas on Facebook where you can place your ad, but you need to optimize it for each one. Your ads will appear in your audiences’ news feeds on both desktop and mobile. Do note that mobile feeds show less ad copy than desktop feeds, so make sure you keep it concise. Your ads will appear on the right side of users’ screens. This type of placement is only visible to desktop users, which is why it’s cheaper than the other options. Since images are smaller and text is less readable in this placement, it works better with customers who already know about your business. Don’t put all your eggs into one basket—or a single ad design. Always split test multiple ad versions to find out what gets you better results. You might be surprised by how much you don’t know about your audience. You can split test copy, CTAs, visuals and colors. Pick the version that performs the best and go full steam ahead with it! Learning how to create a Facebook ad that gets results isn't as hard as it looks. You just need to find out what works with your audience and grab attention with the right visuals. This article will help you get started. What strategies do you use to create winning visuals for your ads? 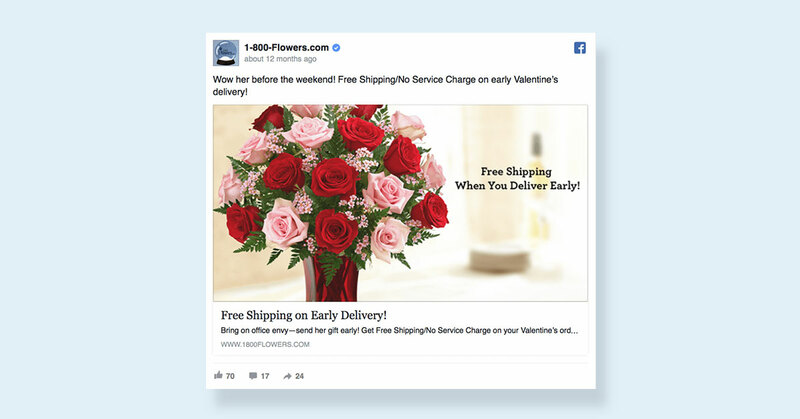 Which ad format on Facebook is your absolute favorite? Feel free to share your thoughts, questions and suggestions in the comments section below! Thanks Natalia 🙂 Glad you liked it!